I am always asked, “What is the customer’s responsibility for maintaining a solar system”? The answer is to check the inverters or performance monitoring to ensure your system is running, and to clean your panels and inverters. 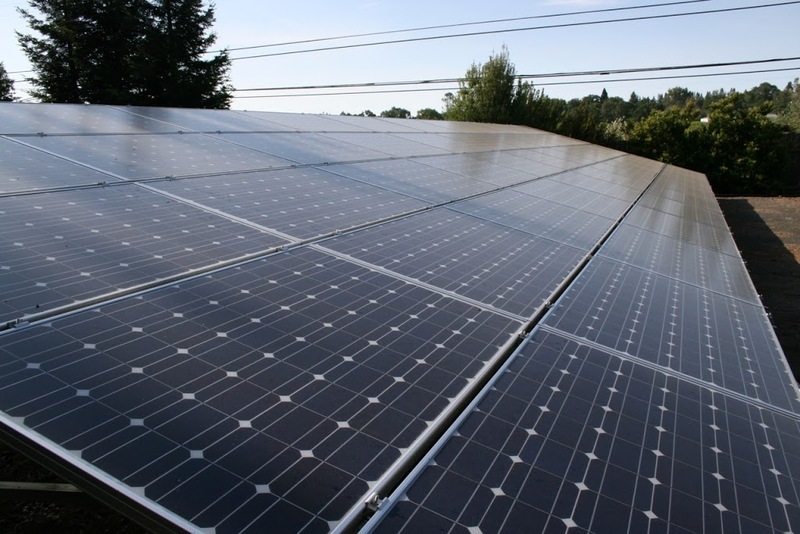 Synergy maintains our solar systems for up to ten years. When we return to sights many years after installation, without fail, the number one issue affecting system performance is dirty panels. We clean our floors, cars, and even our pets, but the panels on our roof, or in our yards are neglected. How much does cleaning really effect performance? Some studies show up to 25% improvement after cleaning (I think this is high but a 7-15% improvement is likely). 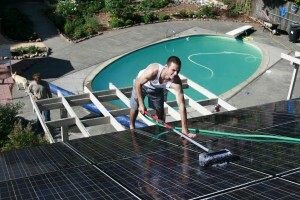 On June 19th, Fathers Day, my eldest son Chaz offered to clean my solar panels. I try to clean my panels really well before May 1st (when Peak Summer rates begin with PG&E), and then hose them off 3-4 times a year before the rains. This year, the business of life led me to put off this cleaning. So on Father’s Day, as I sipped my coffee in the back yard, Chaz was up on the roof cleaning my panels. We do not use any soap (which can leave a soap scum), just plain water and a little elbow grease, or in this case Chaz’s elbow grease. We use an extendable RV brush with a hose attachment, which works well for us and our roof (see below). In the picture above you can see my panels were not filthy, they just had dust and pollen accumulation since the last rains. Below is a picture of a panel from one of our customer visits, showing a typical year’s worth of soiling. 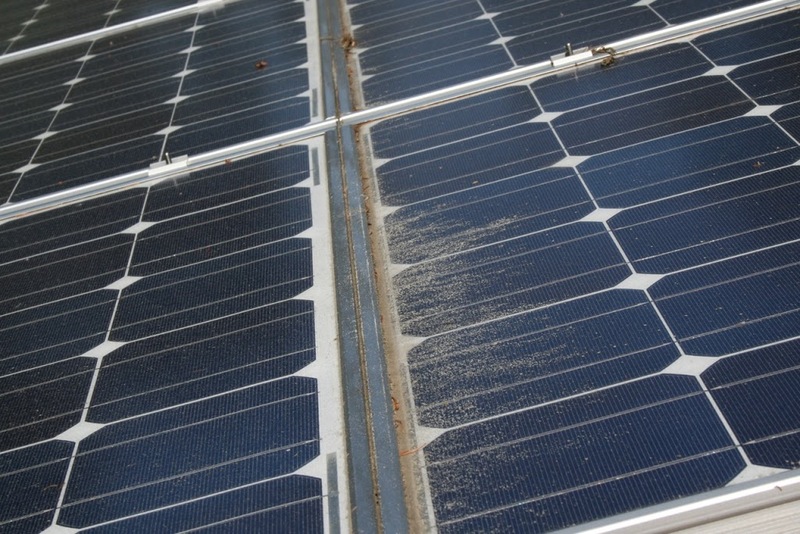 The down slope edges, which trap and allow dirt to build up, will eventually cover the solar cell, affecting performance. These lower edges should be scrubbed to remove this build-up. And then there are those sites that, even though their systems are in the middle of a field, are clean as a whistle when we show up. They say the proof is in the pudding. Chaz cleaned my panels in the early morning, 8:30 am, before the panels heated up (hot glass and cool water can cause cracking). Here is my performance monitoring data, which makes it handy to see the changes cleaning makes. Before cleaning, the highest daily reading I was getting was 45 KW, with an average of about 42 KW. 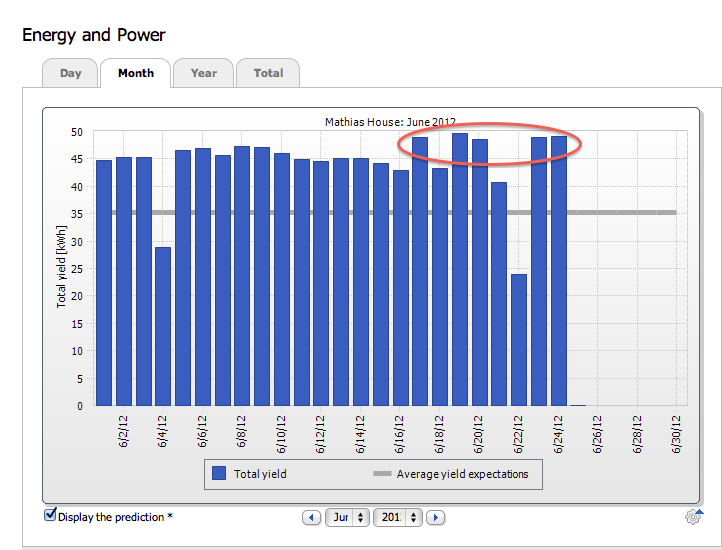 In the week after cleaning, I had 4 days exceed 49 KW. Throw out the one June day we had rain, 6/22/12 (rain in June? ), and the average was over 46 KW. That’s over a 10% improvement. Thanks Chaz! If you have a string inverter, there is one other area that is often forgotten. Once a year (more often in dirty areas) you will need to make sure the fan vents are clean of dirt and debris. When the fan input and exit vents get clogged, the inverter has to work harder to stay cool. Cleaning these vents can go a long way to extending the life of your inverter. 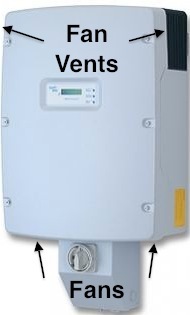 If you have Micro-inverters like Enphase Energy – there is no maintenance. So this ends this blog. It is always a pleasure to know my system is clean and running at maximum performance. There is nothing like “Running on Sunshine”. This is the first guide I’ve seen online by a blogger that describes in depth how to really clean your panels, quite easily. Well done Jeff! Keep it up! 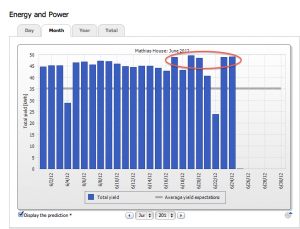 How many solar installations do you have? We install 30 – 40 system a year and have been doing so for the past 20 years. 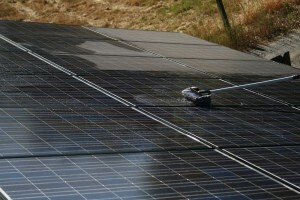 Cleaning your solar panels should be done regularly to prolong their efficiency. Well, that’s the least owners can do for their trusty solar panels. These solar panels are proven to be efficient tools in taking advantage of solar energy, and it would be a good idea for every home and establishments to install these. I totally agree – dependence on fossil fuels helps nobody. Wow.Thank you for the guide on how to maintain the home solar, I really needed these,you’re really helpful. Thank you for the guide on how to maintain the home solar,Cleaning solar panel is very important, Because The more sun lights reaches your solar panel, the more electricity you can generate and more money you’ll be able to save on your electric bill. One of the many benefits of solar panels is their durability. Your solar energy system is an investment that you want to keep in good condition. 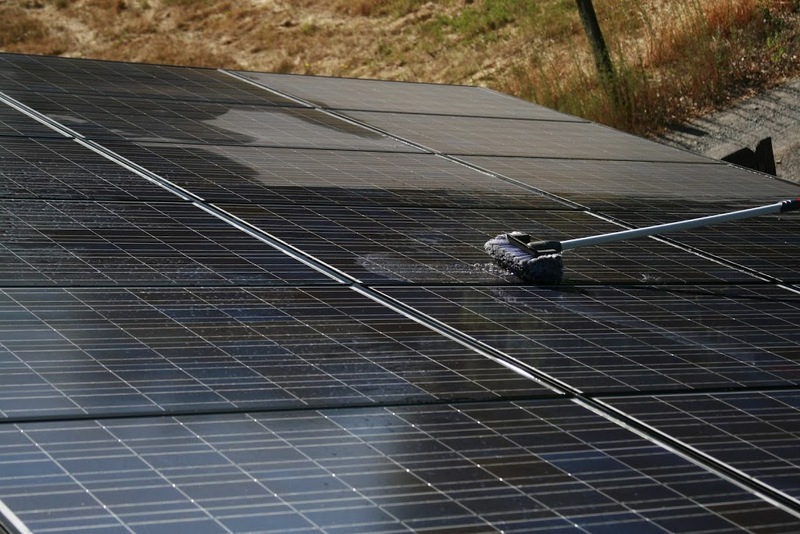 Solar panels require little maintenance, but a regular cleaning can help ensure your system is working at its maximum potential. Given the idea of good quality sunlight based panel glass, clean water and a touch of scouring with a coarse material secured wipe or delicate brush should evacuate the most adamant grime. Plastic scourers may likewise be utilized. Wow… superb blog. its very interesting and informative. Thank you for the sharing. Thanks so glad it was helpful.